Brendan Taylor is the creative force behind TruSchoolSports, a great website for which I have recently started writing. With a large group of writers, TSS covers all sports, including Resistance Pro Wrestling, my beat. 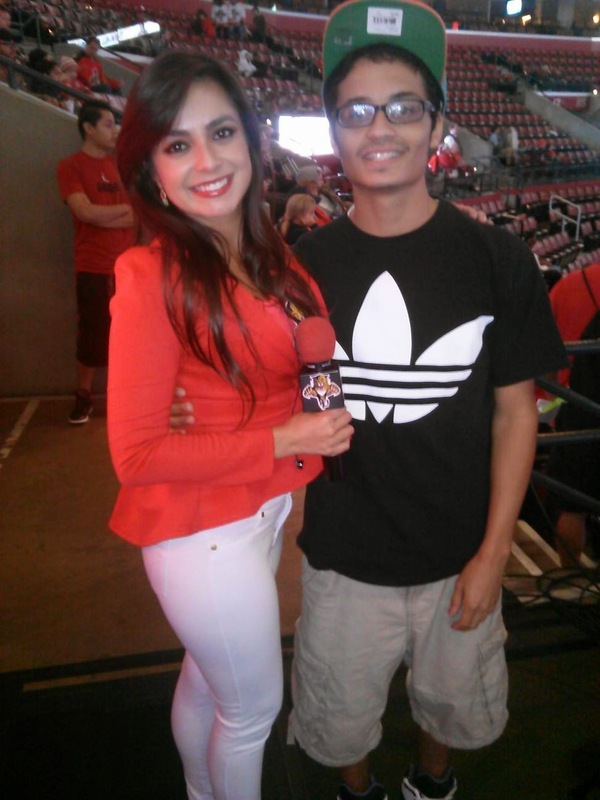 At a recent Florida Panthers game, Brendan met Andrea Ocampo, "TV Host by day Ninja by night. Arena Host/Reporter for NHL," according to her twitter page. I am sure Brendan discussed TSS with Ocampo. Getting regular press credentials for pro teams isn't easy, even for a great site like TSS. Brendan does a fantastic job covering the Panthers, along with all else he does at TSS. This is a relatively young website with a lot of potential. I am excited to be a part of it. I wouldn't mind meeting Miss Ocampo either. Andrea Ocampo and Brendan Taylor in Sunrise, FL-December 2014.